Perhaps it's hardly surprising that one of Europe's longest waterways has so many wonderful attractions along it's banks. 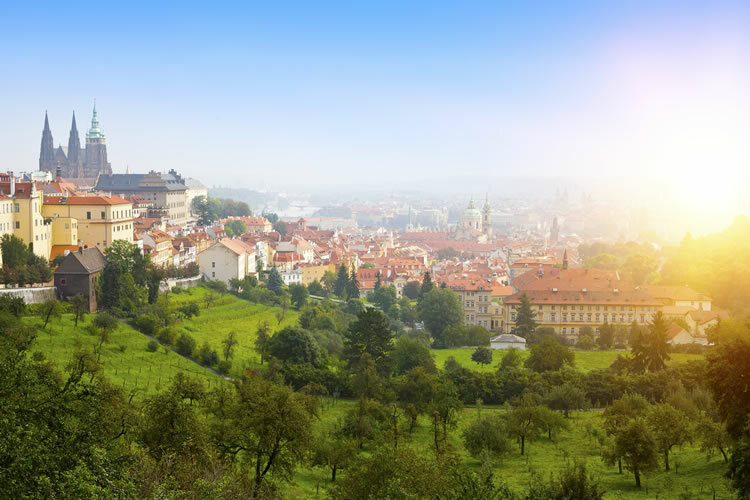 Even so, every aspect of this itinerary will surprise and delight you, starting with a three night hotel stay in Prague to help you prepare yourself for the wonder of your 5-star luxury river cruise. Explore Nuremberg, famous for so many landmark events in history; or Budapest; Vienna, with its remarkable array of elegant buildings; or Budapest, so often cited as one of the most beautiful cities in Europe. You can look forward to enjoying it all from the deck of a Scenic Space-Ship. Freechoice: Make the most of a guided tour of this city including a piano concert, or discover the Jewish heritage on a guided tour with an expert local guide. Alternatively, you can choose to journey to nearby riverside town in Pest County, Szentendre. Szentendre is known for its museums, galleries, and artists, and you’ll have the opportunity to discover this charming town on a guided city tour. Freechoice: Take a guided tour of historic Bratislava or tour Schönbrunn Palace and witness the sheer opulence of the Habsburg Empire. Alternatively, visit the Belvedere Museum, one of Europe’s most stunning Baroque landmarks. You’ll have the opportunity to explore the greatest collection of Austrian art dating from the Middle Ages to the present day, complemented by the work of international artists such as Claude Monet, Vincent van Gogh, and Max Beckmann. The museum houses the world’s largest collection of Gustav Klimt’s paintings, including the famous golden Art Nouveau icons the Kiss and Judith. Sundowners: As the day ends, you’ll get to take in the fine scenery at the breathtakingly beautiful Wachau Valley. You’ll be in very fine company, and can expect a wonderful ending to a magnificent day. Of course, we don’t take all the credit for this one. It’s nature who’ll provide the view, we’re just bringing the drinks.